Magna Carta – a text for our time? Magna Carta, widely regarded as a foundational text of the British Constitution and an essential guarantor of basic freedoms, has inspired imitators across ages and across continents. The United Nations’ Universal Declaration of Human Rights of 1948 has been billed as a Magna Carta for the world, but to what extent is it right to see the Great Charter as a fount of freedom, democracy and rule of law, and how relevant is it today? The first things that need to be said about Magna Carta are that at the time of its birth its claim to be unique was much less obvious than passing centuries have made it seem; and that its survival was far from being assured. The thirteenth century was an age of charters: in 1222 (just 7 years after the Great Charter was sealed by King John) the so-called Golden Bull of King Andrew of Hungary was issued, containing provisions which on their face did not look or sound so much different from their English equivalent. From 1220-31 the Holy Roman Emperor Maximillian granted charters which similarly had much in common with Magna Carta and in 1287 King Alfonso III of Aragon did likewise. Yet within a relatively short time these Hungarian, Imperial and Aragonese charters fell by the wayside and are now little more than a footnote of history. By contrast, Magna Carta, originally a failed attempt to broker peace between a king and his barons, has developed into something far beyond its initial remit and has taken on a force and resonance infinitely greater than anything which those who made the monarch put his name to it ever envisaged. How did this come to be? The answer is: happenstance, and something more than happenstance. The Great Charter was saved from obscurity by the death of King John less than a year after its sealing and the accession of his 9-year-old son as Henry III. With the country in the grip of civil war and a French army in occupation of London, William the Marshal (one of two regents ruling in the name of the boy-king) reissued the Charter which King John had abrogated almost immediately it had been sealed. Thereafter, the Great Charter was frequently confirmed or re-issued – by some counts on as many as 40 separate occasions, the last during the reign of Henry VI in 1423. These twin circumstances helped make Magna Carta what it eventually became, for the habit of re-issue made it almost an earnest of good intent on the part of each new king and ensured that it grew into a living, breathing instrument which on each re-issue came to encompass and consolidate the steady growth of freedoms which were built on its original wording. In the process, over the passing centuries the Great Charter was able to take account of and reflect developments in society at large. It is notable, for example, that the charter granted by King John in June 1215 nowhere mentions three things that in the public consciousness are now closely associated with this document: Parliament, democracy and juries. Yet by speaking of “liberties”, “customs”, “rights”, “justice”, “the law of the land” and “the common counsel of the land”, Magna Carta came to embrace precisely these things. So much for happenstance; but there was something else about Magna Carta which was unique and which helped provide the motivating power for extension and development of the rights and freedoms which King John’s original charter first proclaimed. For the Great Charter was not suddenly summoned into being out of nowhere. It drew on and tapped into a Saxon heritage which was grounded in Christianity. 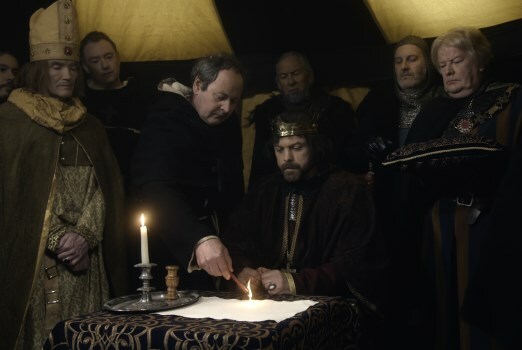 The very idea of having King John seal a charter was largely the brainchild of Archbishop of Canterbury Stephen Langton, who based the charter sealed at Runnymede on 15 June 1215 on the so-called Coronation Charter which had been issued by Henry I over a century beforehand. 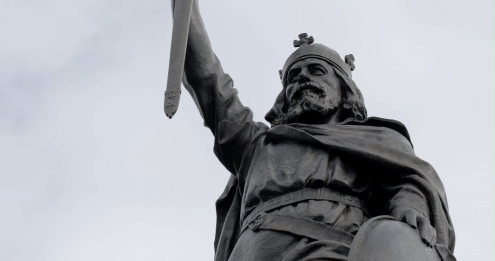 That Coronation Charter had promised to abide by the laws of King Edward (meaning Edward the Confessor, the last Saxon king whom Normans recognised as having been a legitimate ruler). In their turn, these laws of Edward the Confessor incorporated earlier Saxon codes, including those of King Alfred the Great, and so Magna Carta preserves a direct link to Saxon England. Promising to abide by the laws of King Edward effectively meant taking over Saxon laws (and just as important, the Saxon approach to law) lock, stock and barrel. It was a repeat of the promises that William the Conqueror had made in an attempt to legitimise his claim to the English throne and gain Saxon support for his rule. This was of profound importance for two reasons in particular. Firstly, Saxon legal codes made it clear that kings were subject to the law: by placing the ruler under the same constraints as everyone else, Saxon law carried within itself the promise of rights for the common man and thus not only the seed of what Magna Carta eventually grew to become, but also the germ of democracy itself. Rights for the common man because, if a king was subject to the law, the corollary was that a subject could rely on that same law to protect him in his dealings with the state, so the subject had rights which the state could not override. And the germ of democracy because, as time passed, it became increasingly difficult to deny political rights to subjects who had legal rights – equality in one arguing strongly for equality in the other. Secondly, the laws of King Alfred began by reciting the Ten Commandments and various other Old Testament laws. By putting God’s law first and man’s law second, they recognised that law is not simply what we choose to make it, but is answerable to a higher moral standard based on and derived from the Bible. Limits on state power and a corresponding freedom for individuals from arbitrary or excessive use of that power were thus part of English heritage almost from the start, deriving from a mixture of Saxon customs and biblical teaching. That is not to say that the liberties now associated with Magna Carta sprang fully formed into the light: far from it – many were initially present only in the most shadowy form and needed to be developed through a process that was often painful and almost always contentious. The meaning and relevance of the Great Charter was fought over in the English Civil Wars of the 1640s, for example, when the supporters of Parliament specifically relied on it to justify their armed rebellion, but elements of it remained in issue for centuries afterwards. The very existence of a right to free speech was uncertain as late as the reign of Charles II, whose Licensing Act of 1662 prohibited the publishing of any work without government approval, whilst freedom of conscience was to prove a thorny problem for generations afterwards. The point, however, is that (whatever might be said on the other side of the equation) in England there was always a strong impetus towards freedom – strong enough almost to be called a moral imperative – by virtue of the way that the influence of the Bible was rooted not only in Magna Carta but in the law and in ideas of kingship. From the moment it was granted, Magna Carta held out the promise of freedom – freedom from arbitrary rule, freedom from oppression, freedom from tyranny. That was the clear implication of clause 39, which spoke of no free man being imprisoned except by the judgment of his peers or due process of law. Those provisions in their turn opened the door to other freedoms such as freedom of conscience, for what greater tyranny could there be than trying to dictate what men and women should think, of seeking to rule the inner life as well as the outer? 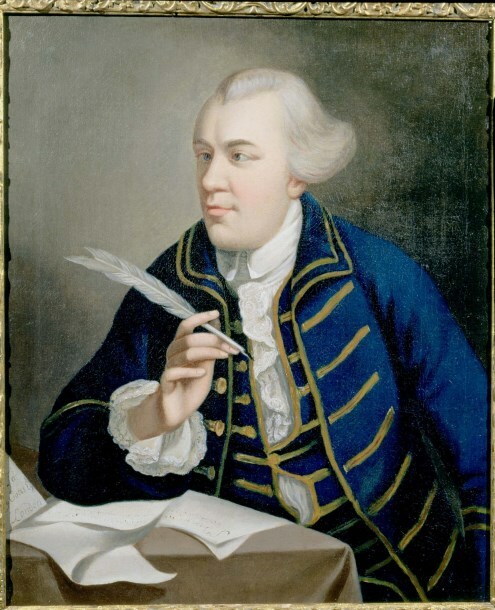 As soon as the Great Charter set about curtailing arbitrary or disproportionate exercise of royal power, the logic of a society which was not only formed by Christian values but had these embedded at the very heart of its laws and as a central determinant of the relationship between citizen and state made a compelling case for the charter’s original liberties to be extended and then extended again. Arguments in favour of freedom of conscience, for example, drew heavily on the fact that choice was of the essence of Christianity – the freedom to accept Christ or reject him – so that it simply made no sense to try and compel what had to be freely given; and this outlook in turn reinforced the tendency towards freedom, since choice is the enemy of dictatorship. Likewise, Christian belief in free will reinforced ideas of freedom of the individual. In similar fashion, Christian doctrine helped spur the development of democracy. It was not the only influence, for Magna Carta’s talk of the “common counsel of the realm” (itself building on Saxon traditions of representation in the king’s council, the Witan) was also a factor, but biblical teaching provided both an overarching intellectual framework and a moral imperative for the progressive extension of democratic rights – as illustrated by the so-called Army Debates which took place at Putney in the autumn of 1647 in the immediate aftermath of the first English Civil War. 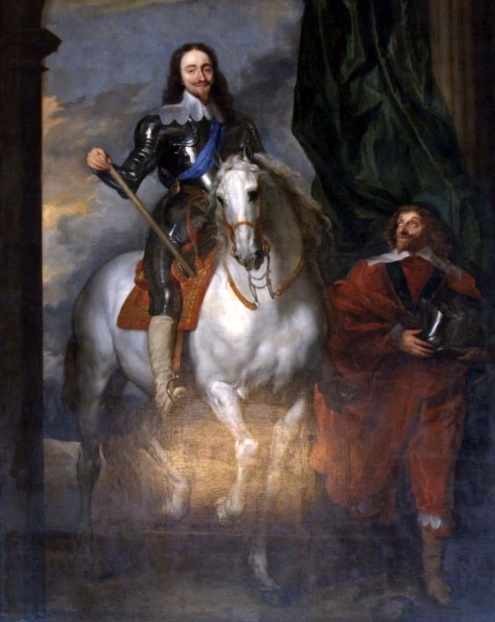 With Parliament victorious and King Charles I its prisoner, the Parliamentary high command sought to quell unrest within the New Model Army by inviting two delegates from each regiment to a debate before Cromwell and Ireton about what form the future governance of the nation should take. It was in effect a constitutional conference and no army in history had seen anything like it before. During the course of over two weeks, they argued for things that have since become accepted parts of the national political landscape: for regular Parliaments; for fairer electoral districts; for a man’s right to vote no longer having to depend on owning a minimum value of property (property in this context meaning real estate); and for democracy based on one man, one vote – their reasoning for the latter being that the Bible said that man was made in the image of God (Genesis 1:27) and showed that in the beginning there had been no distinctions of wealth or class, so it followed that all were of equal worth and each deserved an equal say. 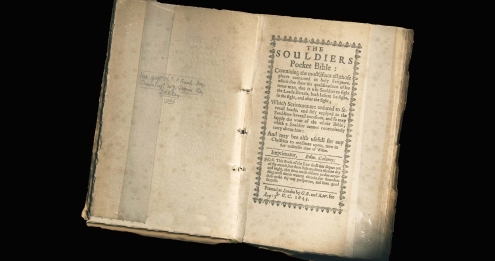 Democracy was inseparable from the beliefs of the soldiers who came to Putney for other reasons, too: because they were passionate about giving everyone access to the Bible and allowing each man and woman to decide for him- or herself what it meant; because their model of church governance was congregational, with each individual group of believers forming a self-governing entity outside central control, thereby empowering individuals and allowing them to take part in decision-making; and because they put obedience to God before the demands of secular authorities, lessening the hold which dictatorial regimes could exercise. All of these things were at heart democratic ideals and processes, and it was beliefs of this kind which built on the seed of democracy lying half-hidden in the fact that the Great Charter made the king subject to the same law as the people. The demands put forward at the Army Debates were not a flash in the pan. 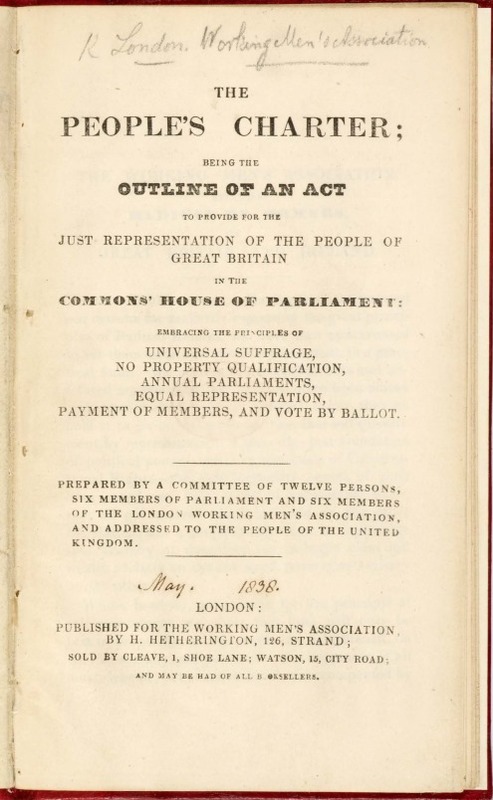 They were virtually identical to ones made almost a century later by the radical John Wilkes (1725-97), when presenting the very first Bill for reform of Parliament, and a century after that by the Chartists. They are in fact a recurring theme, the voice in British history that will never quite go away. From time to time this voice has been marginalised, ignored or suppressed, but it has always re-surfaced. It is the voice of freedom and democracy – and it looks not only to the text of Magna Carta but also to what is written between the lines of that document. As with freedom and democracy, Christianity has played a pivotal role in the development of English law. The law code of Alfred the Great (incorporated into later Saxon codes and preserved through Magna Carta to play a part in the later growth of the English legal system) made it clear that English law looked first and foremost to the Bible for its inspiration. Saxon laws self-consciously attempted to align English law with biblical teaching in a way that was distinctive. One of the most far-reaching effects of this was that the relationship between ruler and subject was drawn in a very different fashion from that which applied in systems derived from the traditions of Roman law, where the same limits on executive power did not apply. 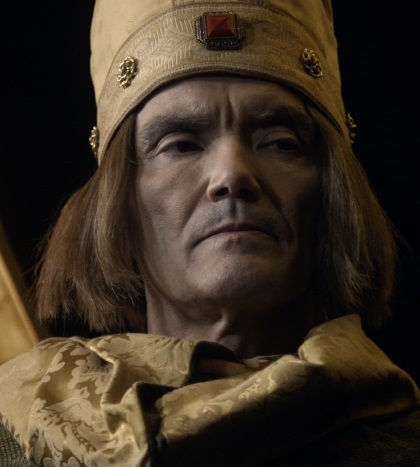 Saxon law acknowledged what continental legal systems did not: that a ruler is under judgment just as much as a commoner, hence his authority is always subject to the law and his power is limited. It followed that power was not for the king to wield as he pleased, but was to be exercised for the common good. The preamble to Magna Carta made precisely this point by having King John declare that the charter had been given (amongst other things) “for the improvement of our kingdom”. Another consequence of the Saxon approach to law was the recognition that law was not something that kings could make (or unmake) at will, but was constrained by moral considerations that came from outside the law, were beyond the ability of men to manipulate and formed parameters within which law had to operate. This outlook was carried over into the English common law which started to develop in a recognisably modern form under the circuit judges of Henry I, and the common law’s resulting insistence that a law should be measured not just against the formal processes that had led to its adoption but also by reference to its moral content is another element that made English law fundamentally different from Continental legal systems. 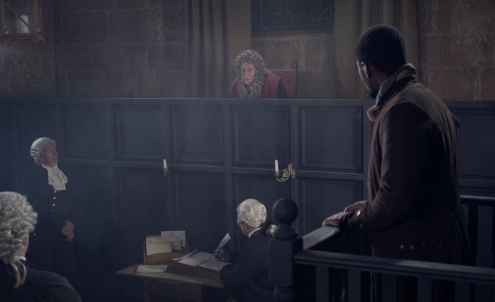 It was precisely this heritage which enabled renowned 18th century judge and legal theorist William Blackstone to write that “Any law that is contrary to the scripture is no law at all and not to be obeyed.” In making that statement, he was not expressing a wish but recording a fact – a fact which has been an essential part of ensuring that English judges have so often championed the individual against an over-mighty state instead of serving as agents of repression. Magna Carta had some vital things to say about law. It made the king promise that justice would not be sold to the highest bidder, that due process and the laws of the land would be observed, and that the right to trial by jury was entrenched. 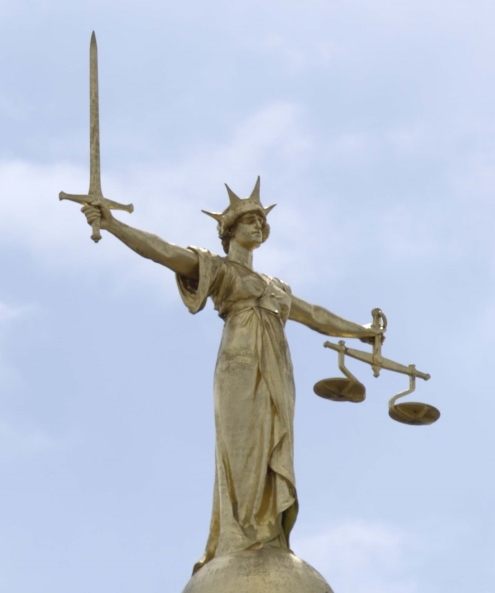 These provisions underpinned the development of a genuine rule of law in succeeding centuries, especially after the Glorious Revolution of 1688 created a truly independent judiciary by doing away with the Crown’s former right to hire and fire judges at will. To the cheerleaders of the Glorious Revolution, their revolt was a re-run of baronial rebellion against King John and the 1689 Bill of Rights issued under William and Mary was a new Magna Carta. As with so many other aspects of freedom, these elements proved to be interlinked and also to be the means by which further advances towards freedom were made. For juries did not only help protect subjects against an over-mighty state. They also implicitly recognised that the people’s consent was needed if law were to command not just obedience, but respect. So what Magna Carta said about law had an impact on politics, too, by bolstering arguments that a sovereign’s right to rule derived from a contract with his subjects – a theory which ultimately required democracy if consent were to be seen to rest on sufficiently broad and firm foundations. Freedom, democracy and rule of law are good things in and of themselves, yet they are only part of a web of rights and obligations that go to make up the full panoply of liberties undergirding modern life. In marking the progression from Magna Carta to the present day, it is hard not to be struck by how the granting of freedom in one area tended to reinforce freedom in another or lead to entirely new freedoms seeing the light of day. A case in point is provided by the early history of Methodism. When John Wesley (1703-91) first began to preach, freedom of conscience was still a very young and tender plant, and Methodists suffered ostracism, disapproval, verbal abuse and physical violence, with Wesley at times in danger of his life. Yet even so there was a noticeable change from previous ages, for there was no serious, sustained official attempt to suppress Methodism. Three and a half centuries earlier the Lollards (followers of John Wycliffe, first translator of the Bible into English) had been ruthlessly stamped out. Reformers like Latimer and Ridley had been burnt at the stake in the 1500s, Roman Catholics hounded under later regimes and Nonconformists persecuted after Charles II was restored to the throne. The treatment of Methodism showed just how much the political atmosphere had changed. As a result of that change, religious revival under the leadership of Wesley and George Whitefield was allowed to play out with extraordinary consequences for freedom at home and abroad. Wesley was a mentor to two of the leading lights of the campaign to abolish slavery, former slave trader turned preacher John Newton and MP William Wilberforce, and Methodists were leading figures in many of the most pressing social and political issues of the day, transforming national life. When lay preacher George Loveless organised a group of fellow Methodist farm workers in Tolpuddle to fight for better pay and conditions in 1834, they may not have thought in terms of Magna Carta’s liberties and privileges, but those were in issue, all the same. When Methodists began to operate outside the hierarchy of the Church of England, they may not have aimed at social revolution, but that is what they brought about, for no longer could the aristocracy keep a stranglehold on village life, with the elder son in charge of the estate and the younger in charge of the church, for now there was another outlet for people’s spiritual yearnings. When Methodists helped power the national movement for extension of voting rights that was Chartism, they may not always have known how great a debt it owed to the Great Charter and its legacy, but that debt was there, nevertheless. The inter-connectedness of life should never cease to strike us. It is now almost impossible to disentangle the threads that led to Britain becoming a world economic and political power. Without constitutional monarchy, judicial independence would have been stillborn. Without rule of law, there would have been no secure property rights and thus less impetus for the innovation which drove first the Agricultural and then the Industrial Revolution, providing economic and financial muscle far beyond that of all rivals. Without freedom of association, there would have been no Lloyds of London insurance market (whose first members met in coffee houses) and hence less trade, which in turn would have meant less wealth and less capital to finance industrial expansion. Without political stability and due regard for creditors, higher interest would have been charged on government debt, making it harder to finance the wars whose successful outcome helped secure British dominion in Canada, India, South Africa and elsewhere. Without a free press, abuse of executive power would have lacked an important check and the free flow of information needed to underpin trust in business would have been absent. That would have biased enterprises towards tight family-held groups and made less likely the economies of scale achievable by larger firms. Without representative government, there would have been no safety valve for political grievances. Magna Carta has spawned some amazing offspring! Its relevance is undimmed. An extended version of this article first appeared in Magna Carta Unravelled: the case for Christian freedoms (Wilberforce Publications 2015). 2015 © Sceptred Isle Productions Ltd. All rights reserved.